The days of Oktoberfest are fast approaching. This weekend marks the first of many celebrations across the world, but where can you go if you live in the apartments for rent in Sacramento? While California might not be the most Germanic place in the world, Der Biergarten is hoping to change that on the 29th. 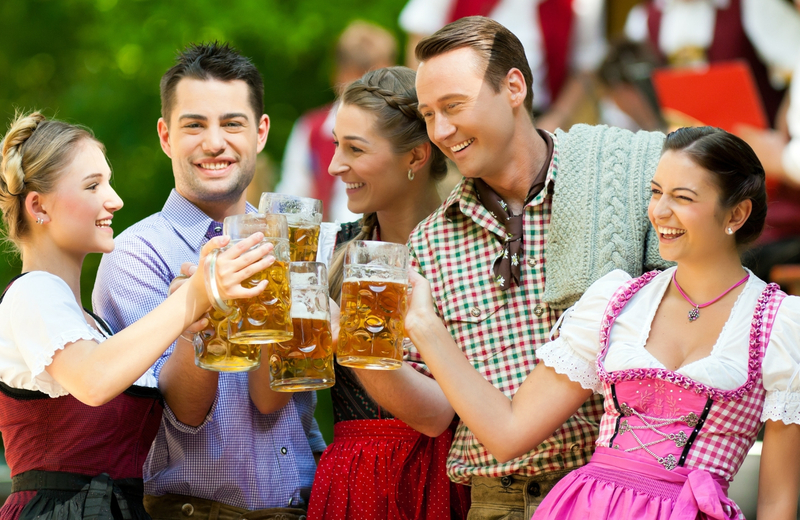 Get you lederhosen ready, wet your appetite for schnitzel, and bring an insatiable thirst for beer. Here’s the low-down on the Midtown Sacramento Oktoberfest. It’s been three years in the making, but Der Biergarten has finally succeeded in taking over the 24th and K Street block for a party of epic proportions. The company sits on the corner of both streets, extending their Oktoberfest celebration into the streets. Essentially, this will be one big “beer garden” for everyone to enjoy. Of course, you can always eat something more traditional from Der Biergarten. Regardless of where you choose to dine, there will be plenty of drinks to go around. German music will fill the air throughout the night as well. The City of Trees Brass Band kick off the event at three, handing over the stage to The Alpenmeisters at six. The entire block of 24th and K Street will house the event, which provides plenty of space to let loose and enjoy the festivities. As for times, this event takes place on the 29th of September (this weekend) starting at 3 p.m. The party rages on until 11 p.m. or later. Parking can be found throughout Midtown Sacramento, but it is limited. Der Biergarten recommends using Uber or riding your bike to the event. You must have a valid ID proving that you are over the age of 21 to enter, and pets are not allowed. Additional tickets will be available at the event if you happen to run out or the online sale ends. Keep in mind that all purchases are non-refundable. The event operates on cash only, so stop at an ATM on your way there. The restaurants open during the event are expected to be packed. It’s highly recommended that you make reservations in advance. However, they all state that they will take walk-ins whenever seating is available. Der Biergarten will feature their usual lite German fare. Schnitzel, Belgie, and old-fashioned hot dogs comprise their menu. They also feature sausages delivered fresh from Morants, the top-rated German butcher in Sacramento. In addition to food, they’ll have their usual 32 beers on draft. If you have any questions regarding the event, there are two ways to contact Der Biergarten. You could email them at sederfield@hotmail.com or call them at 916-524-5275. Both methods of contact are listed on their Sacramento 365 event page. When the part is over and its time to head home, why not return to luxury? The unique rental opportunities at The Arbors apartment homes provide the finest in single-family living in Antelope. Fully detached homes eliminate the usual cons to rental properties, like sharing walls with neighbors, and the community comes with substantial perks that provide a carefree lifestyle. At The Arbors, true happiness starts with feeling spoiled. Within this gated community’s 150-acres of beautifully manicured grounds are a combination of private and shared amenities designed to cater to the NorCal way of life. The state-of-the-art fitness center helps residents stay in shape, while the hot tub and sparkling pool provide necessary stress relief after a long day. The business center caters to entrepreneurs on-the-go, while the dog park helps furry residents stay happy. A basketball court and three playgrounds ensure adults and children alike have plenty of opportunity for fun. Each community feature creates a home you’ll love returning to. Rentals come equipped with the finest in modern furnishings and features. Central air, gas ranges, and built-in cutting boards are just a few of the many features each dwelling offers. Private fenced backyards and patios are standard, as are attached covered parking spaces. Aspects of your new home are curated to create a convenient and inviting space. Your premier location in Antelope places you minutes away from work and play. Midtown Sacramento provides quality entertainment and nightlife. Hiking trails, the Light Rail, and one of the best education systems in the state are within your grasp. The Bel Air Market and Westfield malls allow you to indulge in high-end shopping, while fine dining and quick eats litter the area. Easy access to the I-80 Freeway makes your morning commute a breeze. It’s all right here, waiting for you to enjoy. We invite you to change the way you think about apartment living at The Arbors. Come discover your ideal California experience. Come discover the new meaning of home on the West Coast.